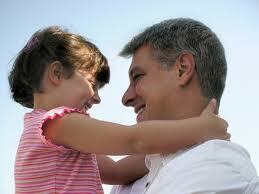 Father-Daughter Relationships research papers evaluate the importance of the relationship between them. Father-Daughter relationships are discussed in research papers for psychology classes that Paper Masters custom writes. Child psychology is one of our specialties and our professional writers can focus on any aspect of the father-daughter relationship you need. The father-daughter relationship has a significant influence on how a woman chooses and develops relationships with other men in her life. It is not uncommon for a daughter to become Daddy’s girl and learn very quickly that the position includes many perks. As a result, she may become patterned to think that all men will treat her in the same manner or, more importantly, that all men should treat her that way. As a consequence, she is more likely to choose men who can or will give her what her father gave her. On the opposite side of the spectrum is the father-daughter relationship that does not include emotional intimacy, attention or giving. Corey and Corey suggest that relationships, including the father-daughter relationship, “can be emotional, intellectual, physical, spiritual or any combination of these”. The father-daughter relationship should be an emotional one because a father’s emotional involvement is essential to the development of a healthy sense of self-esteem in a daughter. When it is absent at any stage of development, but especially in early childhood and adolescence, it can have a recognizable affect on personal development. For example, Corey and Corey suggest that a self-inventory of early childhood should include assessing whether or not one felt loved, valued and acceptable as well as if shame and self-doubt were experienced or if a healthy concept of body and gender were present. Many of these positive elements of development are generated from the healthy and emotional relationship between a father and a daughter however negative elements such as a sense of disapproval, shame and self-doubt can also be affected if the father-daughter relationship is dysfunctional or lacking altogether. The woman who, as a child or adolescent, lacked emotional intimacy or attention in her relationship with her father is likely to respond in one of two ways when it comes to seeking and developing relationships with other men. In some cases, a woman might purposely seek or choose relationships with men who can offer her the closeness and exchange of giving and receiving that she lacked in her relationship with her father. Research papers on father daughter relationships maintain that “our need for love includes the need to know that our existence makes a difference in at least one other person’s life”. Unfortunately, if the elements of self-doubt or being unlovable are so deeply ingrained, they can put a strain any relationship when the confirmation of personal worth or love but is consistently required in the relationship. In other cases, the woman who, as a child or adolescent, had not shared a healthy relationship with her father may believe that she is either incapable of having a healthy, loving and emotional relationship with a man or worse, does not deserve to be part of such a relationship. Emotions - Emotions Research Paper discusses a sample of how to order a critical analysis paper, giving specific instructions. Stage Development Theory - Stage Development Theory research papers analyze motivation in education and in the classroom. Social Development in Children - Social Development in Children research papers are custom written to examine Erik Erikson's eight stage theory of human development. Concrete Operational Stage - Research papers on the concrete operational stage overview Piaget's theory of the stages of child development. Freud Latency Stage - Freud Latency Stage research papers look into the fourth stage of Sigmund Freud's 5-stage framework of childhood and adolescent psycho-sexual development. Jean Piaget Stages - Jean Piaget Stages Research Papers look at Piaget's theory of development and discuss the four stages. Developmental Markers in Children - Developmental Markers in Children Research Papers delve into an example of an order placed for graduate level services. Interpersonal Relationships - Interpersonal Relationships Research Papers delve into an order placed to demonstrate the application of a real life experience or future scenario. Paper Masters writes custom research papers on Father-Daughter Relationships research papers evaluate the importance of the relationship between them.